2011 Hyundai Elantra Touring GLS 2.0L DOHC 16V CVVT FWD 5-Speed Manual4-Wheel Disc Brakes, 6 Speakers, ABS brakes, Air Conditioning, AM/FM radio, Anti-whiplash front head restraints, Brake assist, CD player, Cloth Seat Trim, Delay-off headlights, Dual front impact airbags, Dual front side impact airbags, Electronic Stability Control, Four wheel independent suspension, Front anti-roll bar, Front fog lights, Heated door mirrors, Heated Front Bucket Seats, Occupant sensing airbag, Overhead airbag, Panic alarm, Power door mirrors, Rear anti-roll bar, Rear window wiper, Security system, Speed control, Speed-sensing steering, Split folding rear seat, Telescoping steering wheel, Traction control, Variably intermittent wipers. Financing available. Give us a call (506-454-2886) drop by, or visit our website to book a test drive. 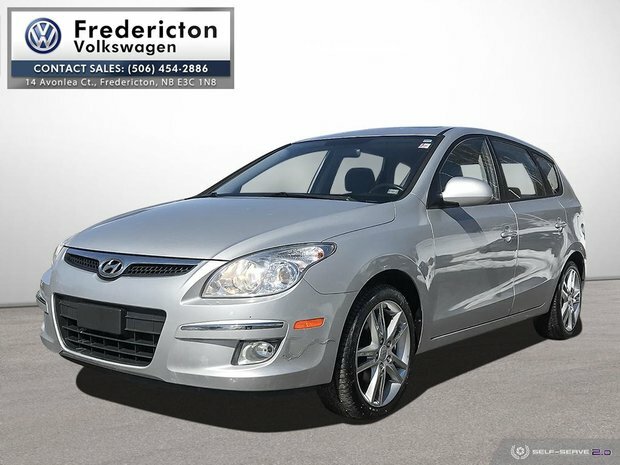 www.frederictonvw.com. Ask about our "OUT OF TOWN BUYER'S PROGRAM". 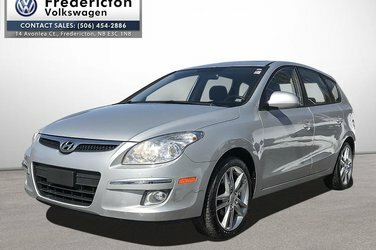 Want to try the 2011 Hyundai Elantra Touring GLS Sport 5sp?